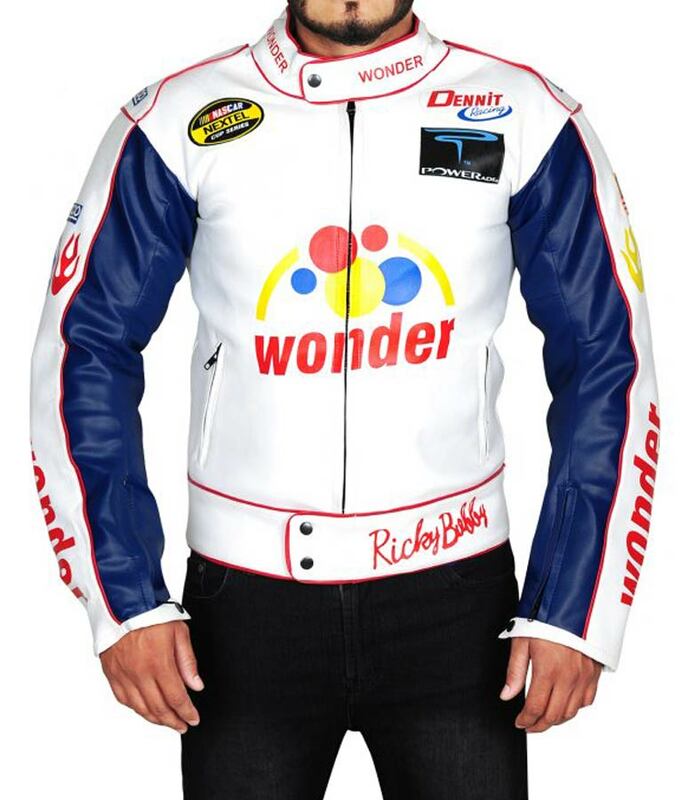 Talladega Nights Ricky Bobby Wonder Leather Jacket is one of the remarkable creation of our online store prepared under the command of some highly experienced fashion designers. This jacket is available in the high quality with shinning white color plus the front logo of wonder. It would be the suitable product for all motorcycle riders, this creatively made leather attire is inspired by the actor Will Ferrell. Ricky Bobby Wonder Leather Jacket is crafted of genuine leather with inside viscose lining will definitely keep you cozy and relaxed all over the day. Talladega Nights Jacket comes in such amazing features like snap tab collar and full sleeves with zipper cuffs that add fascination while zipper closure is made for your convenience with vertical side zipper pockets so that you can keep your belongings in it.